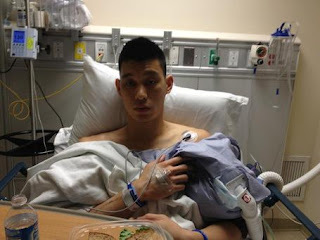 Don't you just hate seeing Jeremy Lin all up in the hospital. This was post surgery to repair and injured knee and is out for what could be the remainder of the season. Just when the Knicks thought they had some Lin goes down. Well don't think they are not keeping the Lin spirit in Madison Square Garden.